France, 1719. Louis 14th died four years ago, Philippe d'Orleans is the regent. He is a liberal and a libertine. 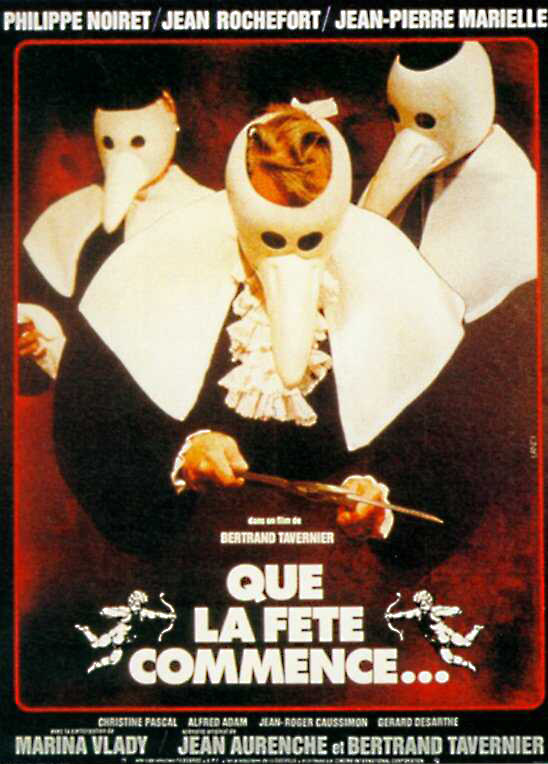 His right-hand man, Dubois, an atheistic and cupid priest, as libertine as Philippe, tries to take advantage of a little rebellion lead by a Breton squire (Pontallec) and of the famine to become archbishop... Description of the life of the court in this period of transition where the French Revolution smoulders. Very accurate historical movie, 8 January 2004 Author: jos-destrooper from Belgium It is unbelievable how the director Tavernier could recapture the mentality of this beginning of the 18th century which would lead to the French revolution. The wars of Louis XIV had ruined the country and the best thing the regent (an excellent Philippe Noiret but all the actors are excellent) could do was to avoid war, so they spend their time with feasts, manipulation, fraud and speculation. The mentality of the Noble of France is well described. There is (among others) an interesting dialogue between the regent and his nephew about the way the comte de Horn should be executed: it had never happened before (in this way: rouer) in France, and he only killed a speculator!. All those pretty details and the funny but accurate dialogues make of -this movie an unique historical document and at the same time it is a pleasure to see the movie again and again.